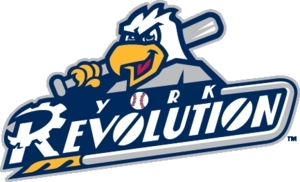 (February 4, 2019) — Technically, the York Revolution’s 2019 schedule will start with the team’s “grand re-opening” on Opening Day, Friday, April 26. But for Revs fans, the team’s 13th season will really begin Saturday, March 2, when the three-time ALPB champs begin selling single game tickets. To mark the seasonal milestone, Revolution officials today announced a celebration event for that day and invited fans to come out to PeoplesBank Park to buy their first bit of Revs Time 2019. Revolution personnel will also conduct “sneak peek” construction tours on March 2, giving attendees some of the first looks at the nearly completed 1741 Club presented by UPMC and the new Monarch and Solomon Suites. While the newly renovated skybox-level hospitality spaces at PeoplesBank Park won’t be completed until a few weeks after the ticket event, dozens of area businesses have already purchased memberships in the new club, and several groups have already booked events in the Monarch and Solomon Rooms. March 2 will also mark the start of ticket sales through this page and the ticket office phone number, (717) 801-HITS.